May 19 was National Catholic Schools Day. To acknowledge and celebrate the occasion, a special assembly was held. 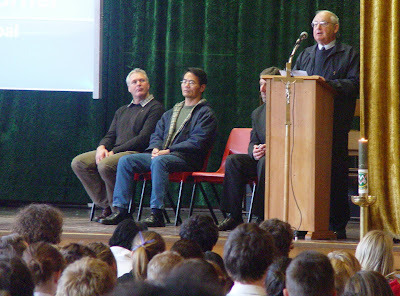 Br Denis Turner, former principal of the College, was the guest speaker. We thank him for his wise and encouraging words. As a relatively young College, we recognise the importance of establishing and maintaining links with our founding orders. Our special character's charisms reflect the hard work and commitment by the religious orders to education in the Catholic tradition at Verdon College.